LG Electronics Inc. (LG) today announced an exclusive partnership with Aertv, Ireland’s leading platform for streaming TV on-the-go. The partnership will see the Aertv platform available on the big screen for the first time, feeding the demand for large-screen and lounge viewing based on 88 per cent of TV consumption still being viewed in the home*. 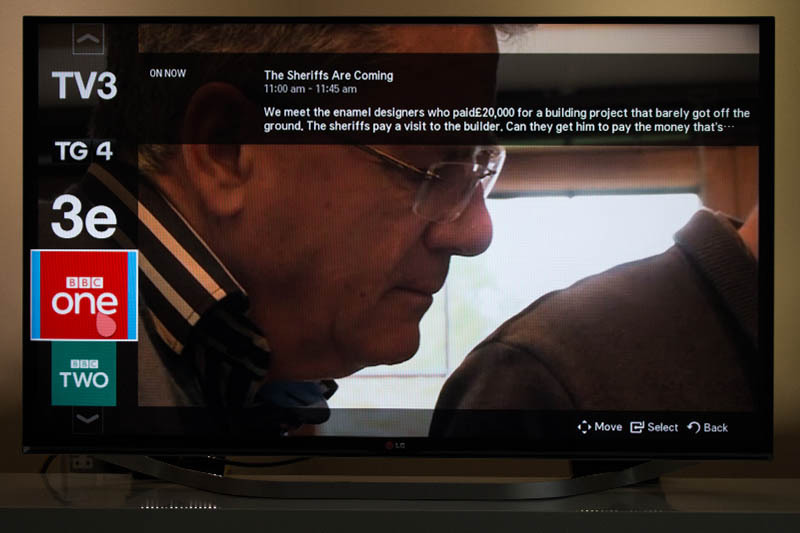 LG Smart TV owners will have access to a range of 19 quality TV channels, including the Irish Broadcast and BBC channels, via a new Aertv app available now from the LG App Store [http://ie.lgappstv.com/]. Previously accessible via smartphones, tablets and computers, the Aertv TV app will be available on LG’s Smart TVs including the award winning webOS platform which offers a simple, user-friendly interface and easy navigation. Subscription to all 19 channels is available through the Aertv Plus package, which costs just €5.99 per month, and with no contract required users are given the freedom to cancel their subscription at any time. Aertv Plus is Aertv’s most popular subscription package and allows for unlimited live viewing, which many will find useful for the upcoming Champions League and Six Nations games. The streaming service, which won a Digital Media Award for Best in IT & Telecommunications, is owned by Dublin-based cloud telecoms provider Magnet.ie. Magnet Broadband customers can enjoy the same bundle with Aertv at a cheaper price of just €4.99 per month. Karen Howley, Head of Aertv, comments “The Irish market is becoming more comfortable with cross-platform viewing and Aertv is delighted to help drive this trend by partnering with LG and releasing our first Smart TV app”. Aertv App is also available on iOS and Android which means LG and Aertv let you watch TV at home and on the go. A large range of current and upcoming LG TVs boast this smart TV platform. From your LED Smart TV to the high-end Ultra HD and OLED TV range – available at Powercity, Expert & Harvey Norman. The channels available on Aertv Plus are; RTÉ One, RTÉ Two, TV3, TG4, 3e, RTÉ One+1, RTÉ Two HD, RTÉ News Now, RTÉjr, Dáil Éireann, BBC One, BBC TWO, BBC THREE, BBC FOUR, BBC News, CBBC, Cbeebies, France 24, Russia Today. While mobile video consumption is on the rise, 88% of viewing still happens in the home with the sitting room being the most popular room followed by the bedroom and kitchen. Indeed, LG is one of the best brands of any kind of electronic gadget. The customers have a valid trust in such brands as it provides an effective services to all the customers when they need. It is really a great fact that LG has newly launched an Aertv application for all the users. It provides all the latest technology based features to all the users for making a user-friendly platform. Android TV now comes with Google Assistant. Just say “OK Google” or press the microphone button on the remote to quickly find the latest remote buster, see the big game results, or dim the lights – you leave everything aside.